We strive to give our clients the highest level of satisfaction when working with us. This landscape can be complicated and we try our best to tackle each project as simply and efficiently as we can. 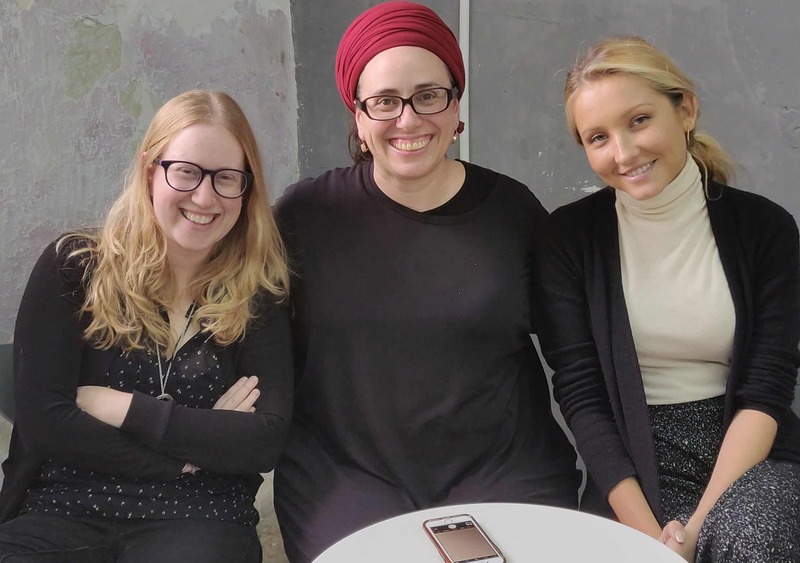 Over the past 12 years, Miriam founded and built illuminea, a leading global open-source WordPress development company, taught herself how to code and became one of the top thought leaders and influencers within the Israeli startup and open-source spaces. In mid 2016, Miriam founded Strattic. Miriam’s lifelong passion for helping people and doing good in the world has translated into Strattic’s mission to make web security simple and accessible to all. Meir is the founder and CEO of LeverageIT, the digital agency in Toronto and new owner of illuminea. Meir has a passion for helping startups get funded and get to market. His largest accomplishment, Enthusiast Gaming, recently went public. Meir, at the helm of LeverageIT, is fundamental in ensuring that illuminea continues to grow and thrive within the WordPress community here in Israel as well as abroad. Aviva will be managing the day to day running of illuminea, ensuring excellent client support as well as consulting for new clients. As a WordPress aficionado, Aviva has been living and breathing WordPress for many years now and has a deep understanding of the intricacies, best practices, and design standards required to move website projects forward. Aviva brings 10 years of design, development and project management to the table and is super excited to lead illuminea to further growth. Katy strives to help clients realize their goals. Her background in psychology keeps her attuned to the needs of both clients and their target audience/customers/users, she strives to understand their needs and come up with creative, effective digital solutions. She started off in marketing, blogging around online trends and social media, and helping clients in the early days of Facebook and Twitter. She’s since worked with clients from a range of industries in both a marketing and project management capacity. Emily is a designer extraordinaire that specializes in digital web application with a background in print. She leads our design team to create functional solutions for clients looking for a range of products. Wearing many hats she operates as a web and UI/UX designer, print specialist, animator, photographer, and participates on a front-end development team working on systems including WordPress, Shopify, Squarespace, MailChimp, and so many more. Nick is a designer by training, developer by temperament. His natural aptitude for systems and patterns allows him to approach projects from a more holistic perspective, combining both his technical expertise and artistic intuition. Nick enjoys the problem solving aspects of development, finding inefficiencies and fixing them. In his spare time, Nick enjoys reading nonfiction with a structuralist bent and playing grand strategy games, both of which are further expressions of his interest in systems and problem solving as well as adding to his nerd bonafides.